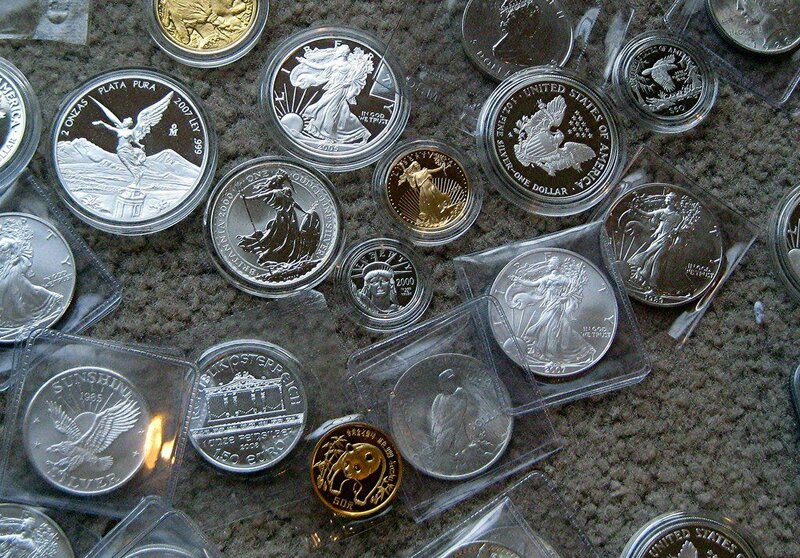 Should investors place their bets on precious metal assets despite a shaky market? 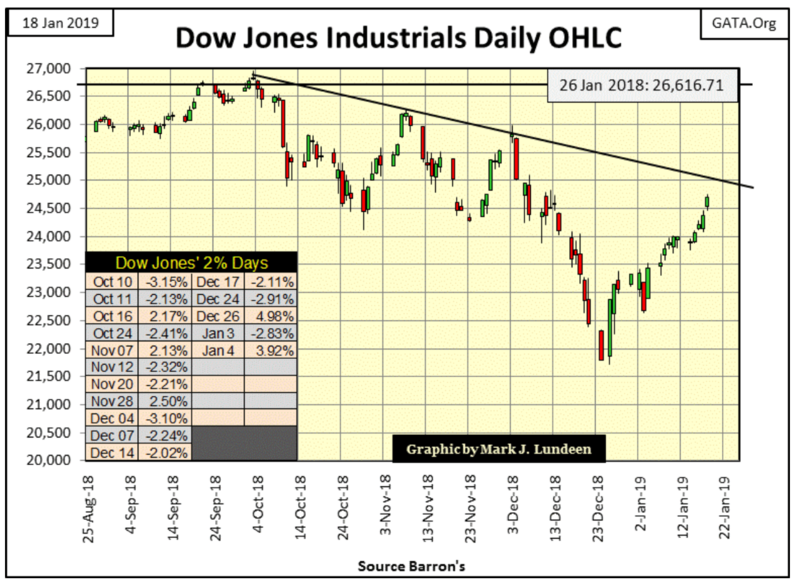 The Dow Jones bottomed on Christmas Eve (December 24th), 18.77% in the BEV chart below, and at the close of last week, the Dow has taken back over half of those losses in less than a month. 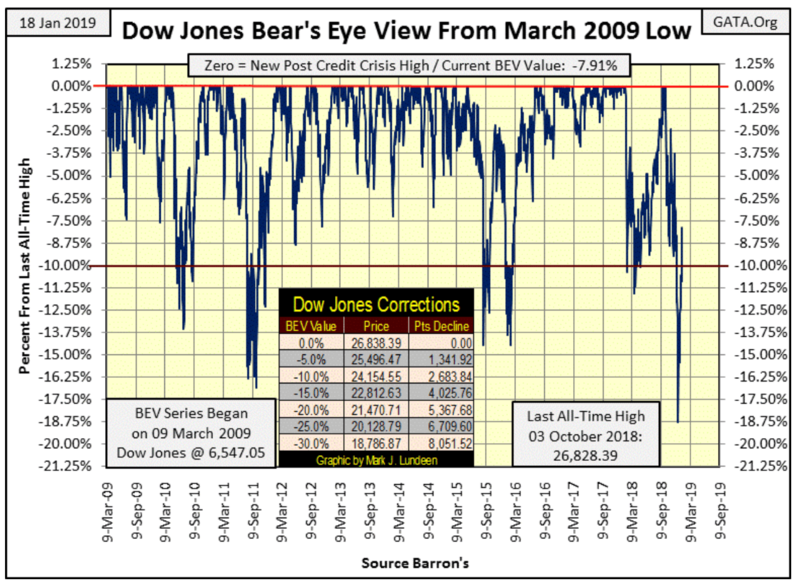 This BEV chart begins on 09 March 2009, the absolute bottom of the subprime mortgage bear market. Since then the Dow Jones’ largest correction was our current market correction, whose recovery from its December 24th low is a bit out of character with the other post-March 2009 correction lows. 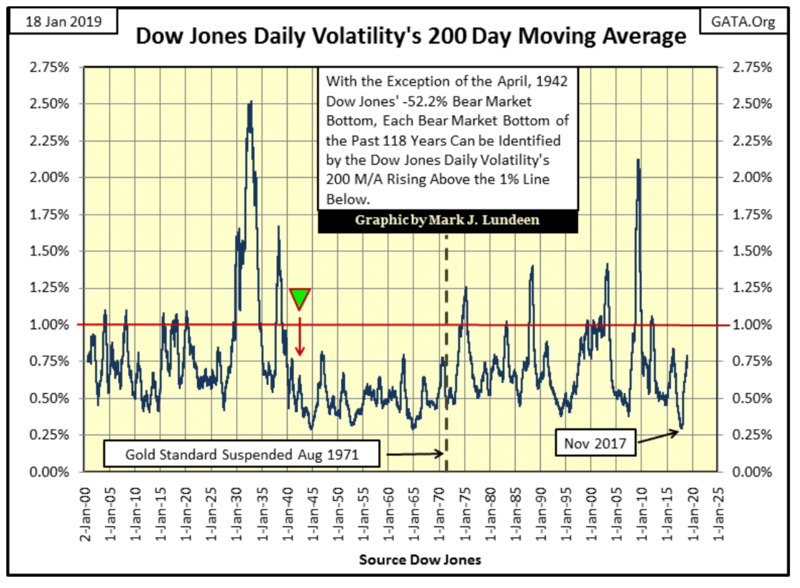 But daily volatility, as measured by the Dow’s 200 count, remains bearish. 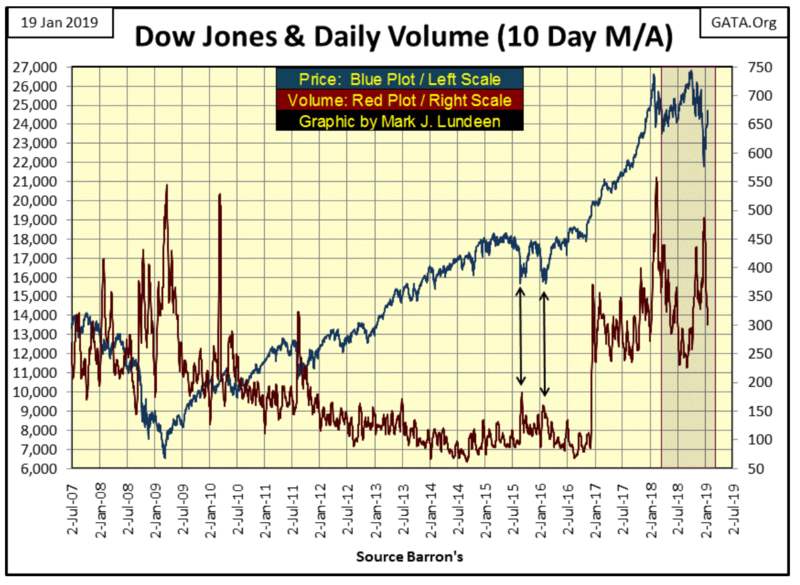 Keep in mind when the Dow Jones sees rising volatility, and producing 2% daily moves from a previous day’s closing price becomes a regular routine, it’s always bearish. 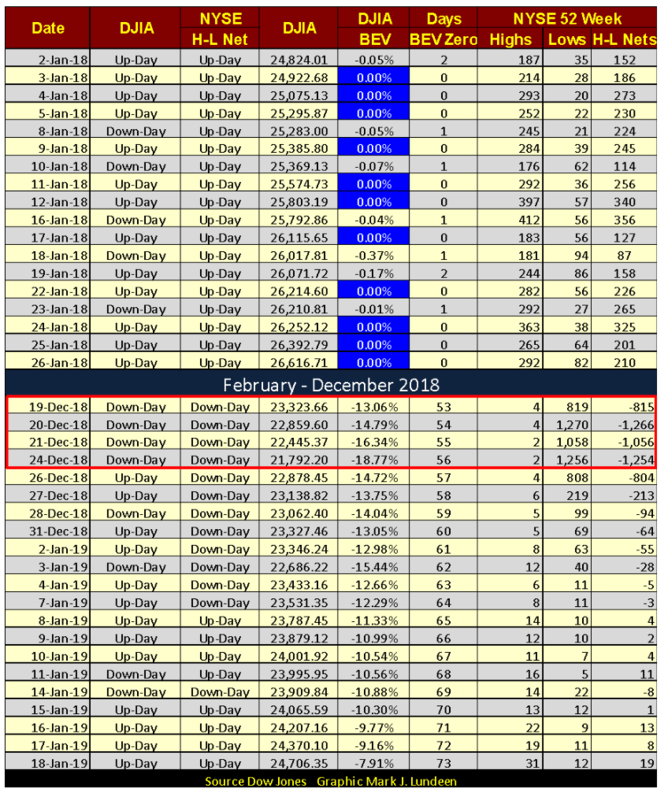 Since the October 3rd top in the Dow Jones, it has seen sixteen 2% days, with the last on January 4th (see table in the chart above). 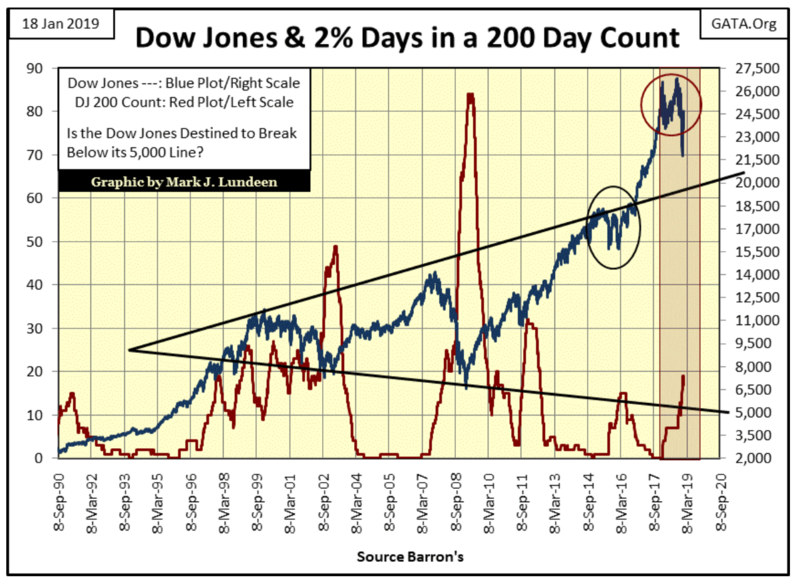 The Dow Jones’ 200 count (Red Plot below) was at zero a year ago, but last week closed at 17. 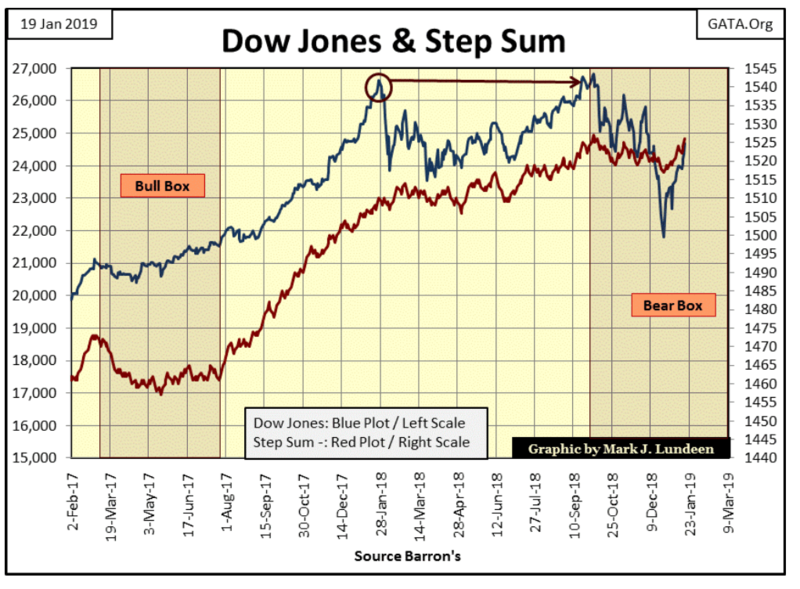 The Dow Jones (Blue Plot below) hasn’t done all the bulls would have liked it to in the past year as the count increased to 17. 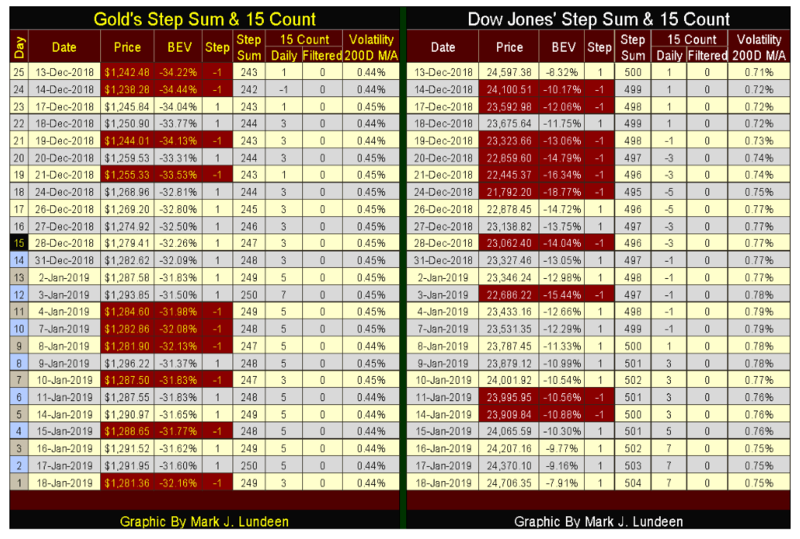 The red plot above is daily volatility measured in 2% days in a running 200-day200-day; below I have it in daily percentage moves (percentage move from a previous day’s closing price) in a 200 day moving average. The plots from measuring volatility by these two very different methods are remarkably similar. So far the plot above hasn’t moved above the critical 1.00% line, which it certainly will if the market begins to deflate again. However, if the current recovery has legs to it, we’ll soon see this plot reverse to the downside. What will it be? Who knows? But right now the Dow Jones is going up, so I’ll say that I’m short term bullish while long term bearish. 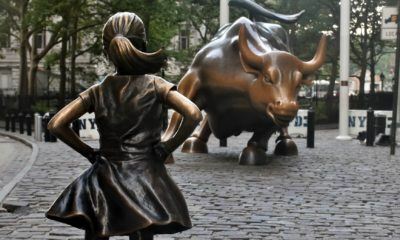 But if I had to take a position and hold it for a few years, I’d be very bearish as the stock and bond markets are grotesquely overvalued, and the companies whose stocks and bonds trade in the financial markets have taken on more debt than they can service should the economy turn down — which someday it will. As it is I see a historic bear market pending, and the post-December 24th advance has done nothing to correct this situation. Looking at NYSE 52Wk Highs and Lows below, in late December as the Dow Jones hit its -18.77% bottom, the NYSE saw a few days where 40% of its issues made new 52Wk Lows (December 20th & 24th). After such a decline it’s not unusual to see Mr Bear take a break. In the past month, these listings have recovered and we are now seeing 52Wk Highs increasing. Let’s move on to gold and silver. 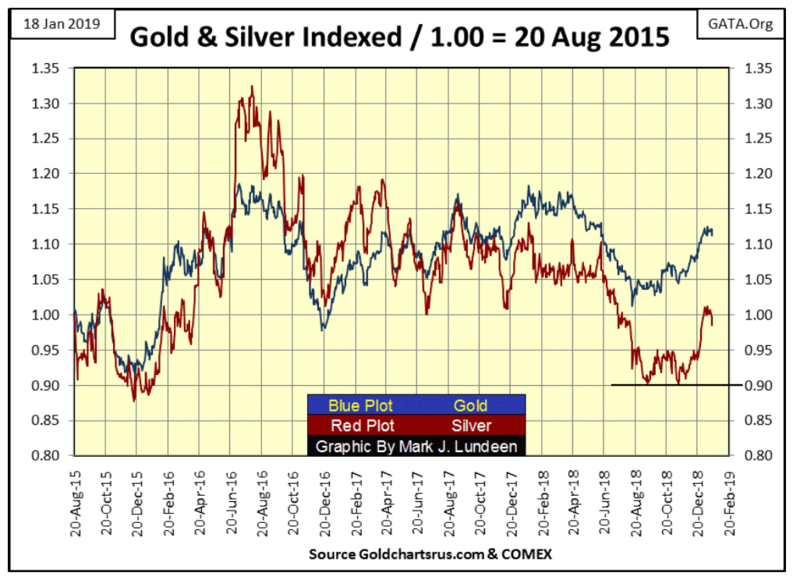 Below are my plots of gold and silver indexed to 1.00 = 20 August 2015. Both are advancing, though silver appears to have turned down. However, that could change this week. I’ll tell you the problem the old monetary metals are having: their daily volatility has returned to levels not seen since 2000 (chart below). Volatility is ALWAYS bad for the stock market. 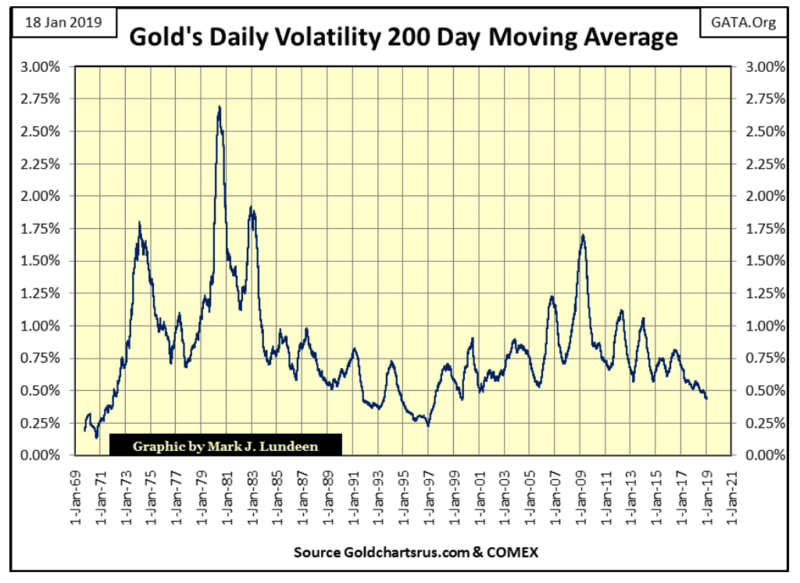 But for gold volatility increases anytime it’s making a big move; up or down. So if in 2019 gold is doing nothing exciting, we shouldn’t be surprised to see its daily volatility’s 200-day moving average below breaking below its 0.50% line. With market sentiment like that, precious metal assets are in little danger of seeing a big decline from current levels. 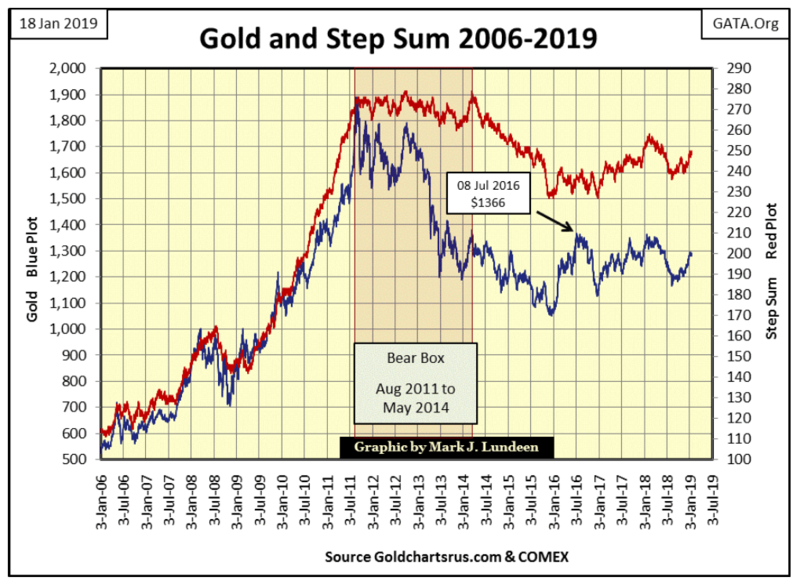 I continue to believe that watching gold and silver will be like watching paint dry, and that will be the case until Mr Bear once again begins to claw back the over-inflated valuations in the stock and bond markets. Here is gold’s step sum chart. Market reality (Blue Price Plot) is trending up, as is market sentiment (Red Step Sum Plot). This is a constructive chart, but what is needed now is for gold to break above its July 2016 high of $1366. 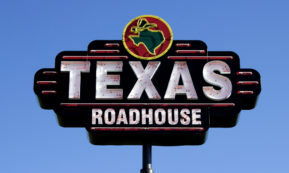 Hopefully, it will do so with authority as the stock and bond markets are deflating. I don’t want to sound ghoulish here, but historically bull markets in gold and silver are fueled from capital flight from the stock and bond markets. The Dow Jones was seeing some selling pressure in late December but come January everything changed. Look at December 24th BEV value; -18.77%. Eighteen NYSE trading sessions later it closed this week at -7.91%. That’s a huge gain. How much longer can this continue before the Dow Jones is forced to correct this advance, and what happens when it does? I haven’t looked at OTC derivatives contracts for a while, so this is a good time to revisit this topic. Looking at the BIS site, the latest figures for OTC interest-rate contracts is $481.08 trillion in notional value for these contracts. As all derivatives are financial contracts whose valuation are derived from an underlying asset, such as a commodity or financial asset, to better understand what notional valuation is let’s look at a corn contract trading at the Chicago Board of Trade (CBOT). A corn contract contains 5,000 bushels of corn, and at the end of this week, corn is trading for about $3.75 a bushel. So the notional value for the contract in my example is 5000 bushels X $3.75 = $18,750. Before being allowed to enter into this corn contract both the long and the short must post capital, typically on margin which in commodities is different than with the stock market. For a corn contract, both the short and long must post their own money, as commodities brokers are forbidden to lend funds for margin. 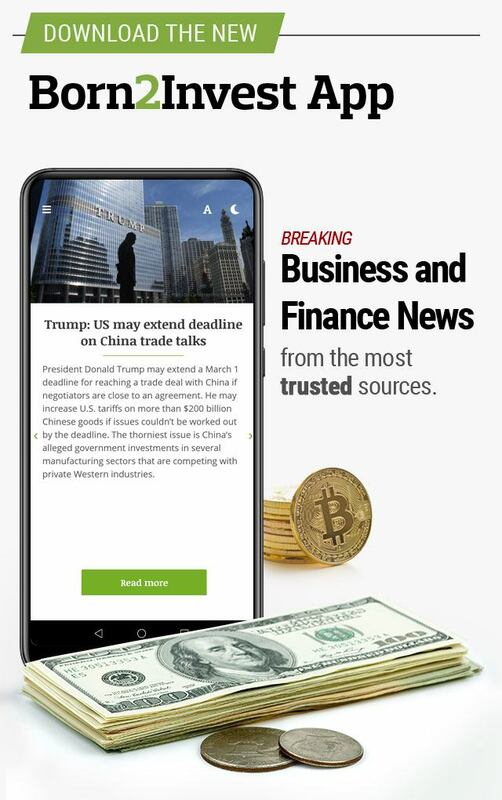 This is a check to prevent “liquidity” from the Federal Reserve System from flowing directly into the cost of living assets trading in the commodities markets. 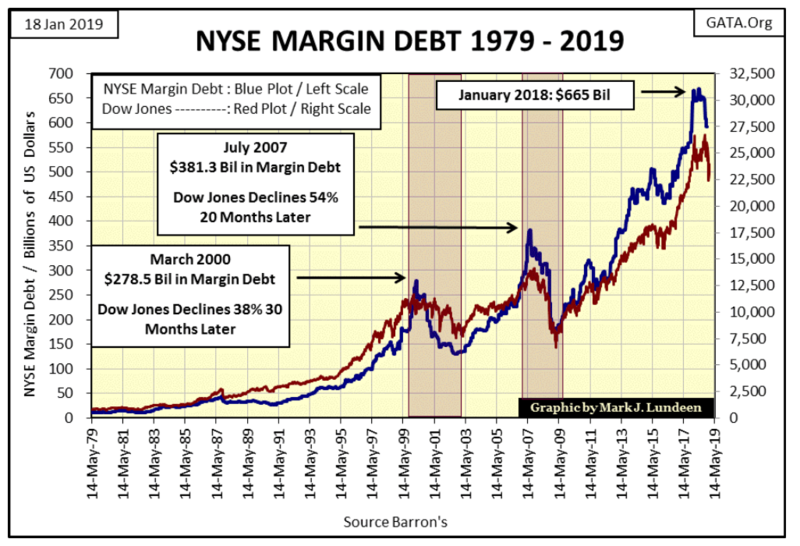 This prevents CPI inflation from rising upwards like the Dow Jones (Red Plot) in the chart below as “liquidity” is “injected” (Blue Plot: NYSE Margin Debt) directly into the stock market. A margined investment on this corn contract is different; it means the short and long side was obligated by their broker to post only a fraction of the value of the contract’s notional value. Margins are set by the exchanges, for example, a 10% margin on this contract means that the short and long were required to post only $1,875 for this one contract. So neither the long or short side of the contract has committed $18,750 to this contract. 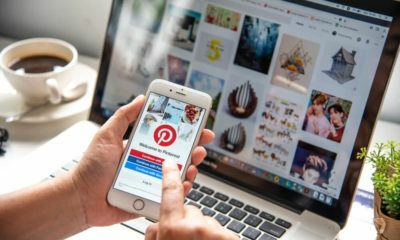 But for the purpose of this example, let’s assume both the long and short in this contract are naked or allowed to enter this contract without posting any capital. This is something the big Wall Street banks are allowed to do by their regulators. CBOT corn contracts are standardized contracts; each containing 5,000 bushels of corn with a known content of water and waste and guaranteed by the CBOT. This makes these contracts liquid. But interest rate OTC derivatives contracts are neither standardized or liquid. That plus there are at least $481 trillion dollars in notional value of them makes them dangerous. 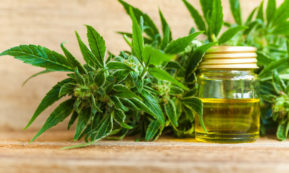 “The derivatives genie is now well out of the bottle, and these instruments will almost certainly multiply in variety and number until some event makes their toxicity clear…[They] are financial weapons of mass destruction, carrying dangers that, while now latent, are potentially lethal. Calling derivatives garbage is an insult to garbage,” said Warren Buffett, in a 2002 letter to shareholders. When the price of corn increases it’s the farmers who benefit, but when bond yields increase who benefits? I can see why bondholders would want to hedge their interest-rate risks as rising bond yields results in declining bond prices. But bond issuers don’t directly benefit from rising bond yields either. 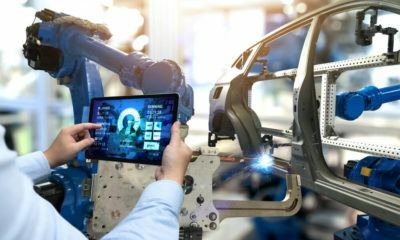 Rising bond yields are detrimental for governments and industrial bond issuers, as when old bonds at low yields mature and are rolled over into newer bond issues at higher rates. 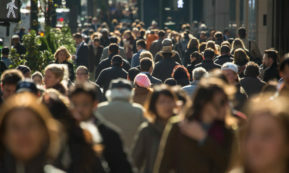 Higher debt-service expenses in a multi-trillion dollar market may be the difference between staying in business or bankruptcy for a large segment of the economy. How does one hedge that? Here’s a table for every US 30 yr. T-bond issued since February 2014. That bond yields were declining, and then bottomed in August 2016 (Highlighted Row) is obvious. That plus the fact the US Treasury had to issue 30-Year Bonds offering higher coupons since. This is a big deal for anybody with $21 trillion in debt they must serve. So, who naturally benefits from rising current yields in the US T-Bond market? 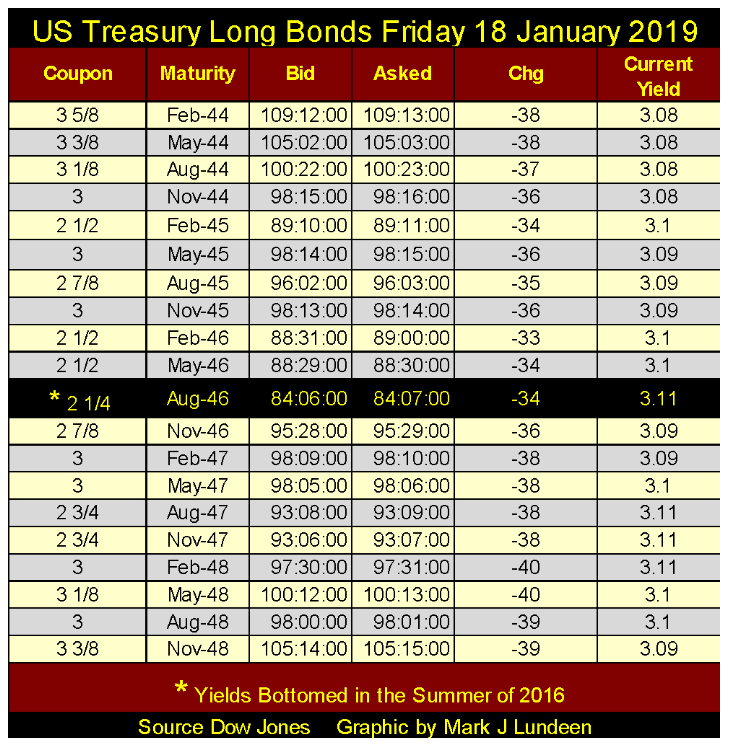 Neither the buyer of T-bonds nor their issuer (the US Treasury), who since the summer of 2016 has had to issue bonds with ever higher coupons. Below I’ve plotted Barron’s Best and Intermediate bond yields going back to 1934. 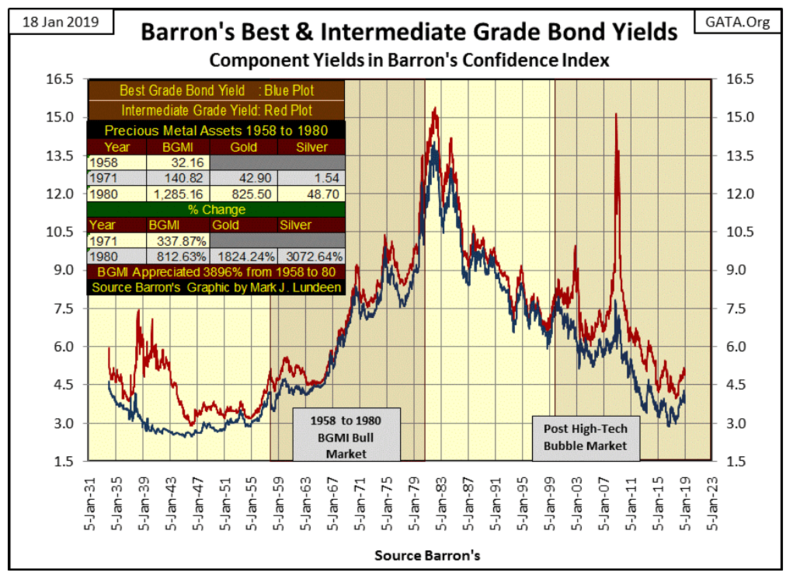 As a sidebar, I noted how Barron’s Gold Mining Index (BGMI) performed from 1958 to 1980, as bond yields went from low single digits to mid double digits: up 3896% as the Dow Jones advanced only 87% during these same twenty-two years. But back to interest-rate derivatives; take a moment to study this chart. From October 1981 to the summer of 2016, with the exception of the high-tech and sub-prime mortgage bear markets, bond yields have for the most part only gone down. From their highs of 1981, it was only natural that they should, but for thirty-five years rates decreased down to where they were in the 1940s and that seems very odd. Think about it, in the late 1940s the dollar was still under a $35 gold peg. 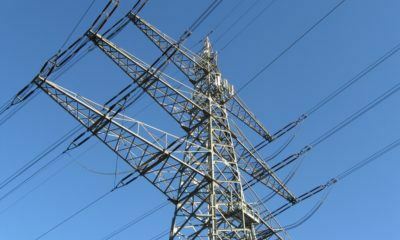 The government was much smaller and less intrusive. Also only ten years after the depressing 1930s, debt was still a four letter word. 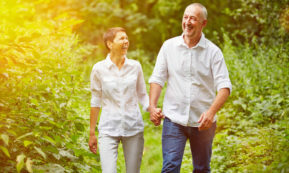 Seven decades ago most people strived to be debt free and corporations would actually publish full-page advertisements in Barron’s of their balance sheet — and nothing else to show off their solid financials. I’m not an expert on interest-rate derivatives, so I could be wrong, but I believe the big banks knew the trends in bond yields had only one way to go — down. They gladly took the other side of $481 trillion dollars in these derivatives as it was like taking candy from babies. But since the summer of 2016 bond yields stopped going down, and began going up, placing the big banks who marketed these derivatives at great risk. 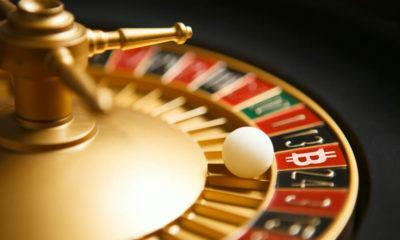 In big bear markets, things tend to get out of control. When bond yields rise above a yet unknown threshold, all hell is going to break loose in the banking system as counter-party failure runs riot on Wall Street. Come that day, you’ll be glad to have some gold and silver.